Want to learn more about a large range of Pressbrake systems or view a machine local to you ? Engineering Machinery specialise in the supply and sale of new Ermaksan Press Brakes and Fabrication Folding Machines . If you are looking for speed, versatility and high efficiency, so Speed-Bend press brakes series is the right choice with Engineering Machinery’s range of Ermaksan machines . Our Pressbrake machinery range offer the most up to date software on our controllers from Delem and Cybelec exhibiting bend simulation to the operator prior to the profile being folded. This constant innovation plays an important role in Ermaksan’s press brake production process. We use the most sophisticated equipment and systems in a streamlined process with strict quality control – contact the office today to arrange a viewing. Ermaksan comprehensive range of press brake machines gives you the customers maximum flexibility and cost-effective productivity. 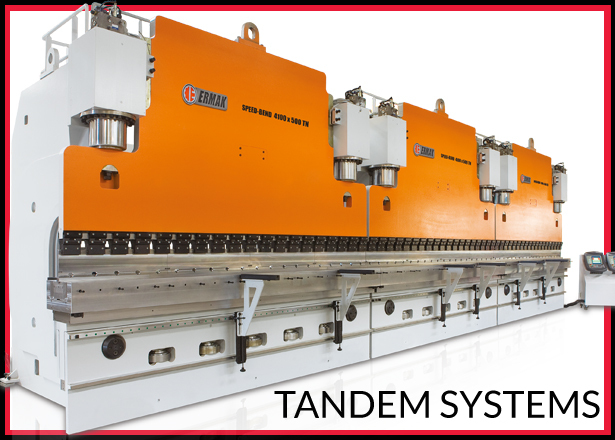 With an extensive variety of tonnages and beam lengths, there is a variant to suit each customers requirement. Ease of operation, innovative tooling solutions and intuitive software options ensure your continued success into the future. 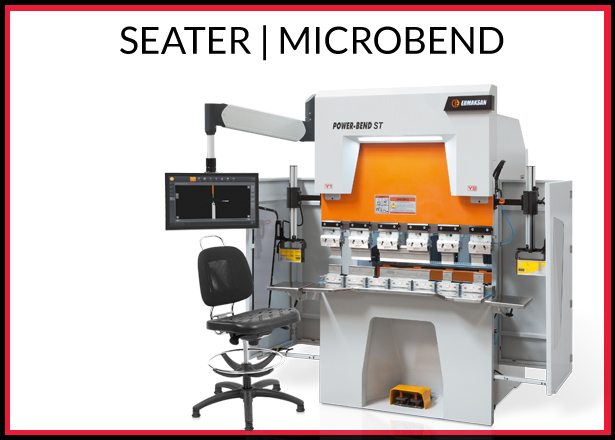 Free-fall, bending and return speeds of Speed-Bend press brakes series makes is the best choice to meet demands in today’s competitive markets. 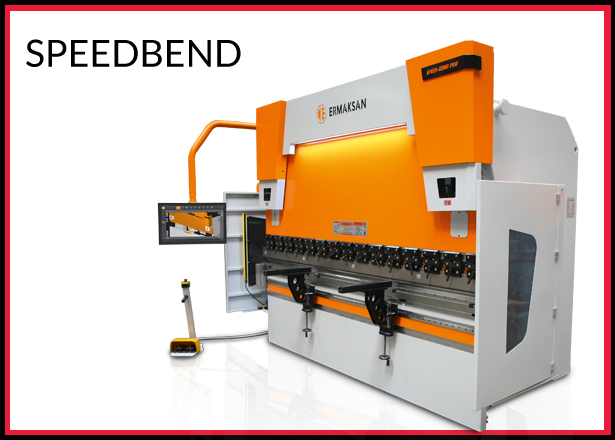 Speed-Bend series offer twice as fast production capacity compared to conventional CNC press brakes. Don’t you have enough space for a press brake? In case, we are offering you Micro-Bend that is most productive and small size with hydraulic in its own class. To find out more about the full range of Press Brake Machines & Parts offered by Engineering Machinery & Services, contact us at sales@engineering-machinery or check out our other categories of Pressbrakes available on our site. 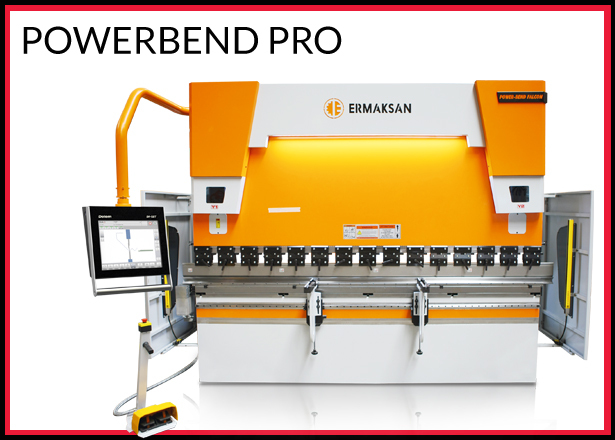 Engineering Machinery and services offer the most complete range of Press brake machinery available from Ermaksan. As Ermaksan’s oldest agent in Europe for over 25 years , you can be assured the right press brake is within reach. That’s because we have the widest selection of press brakes —ranging from 40- to 2,000-ton capacity. Equipment/options can be tailored to individual request. Thus, the best productivity for each client is achieved while bending. Engineering Machinery & Services | Ermaksan Machinery specialise in the supply and sale of new Press Brakes, Folding Machines, Sheet Metal Guillotines and Tooling. Our customers know we deliver the latest in cutting edge controllers and Pressbrake technology so they can improve lead times in their own in house production.